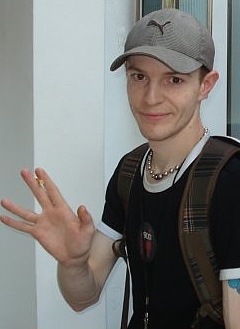 Joel Thomas Zimmerman (born January 5, 1981), better known by his stage name deadmau5 (pronounced "dead mouse"), is a Canadian record producer and DJ from Toronto, Ontario. Zimmerman produces a variety of styles within the progressive house genre and sometimes other forms of electronic music. His tracks have been included in numerous compilation albums, such as the 2007 In Search of Sunrise 6: Ibiza CD. The February 2008 issue of Mixmag's music magazine included a free CD which was titled MixMag Presents: The Hottest New Name In Dance! DEADMAU5 Tech-Trance-Electro-Madness, mixed by Zimmerman.